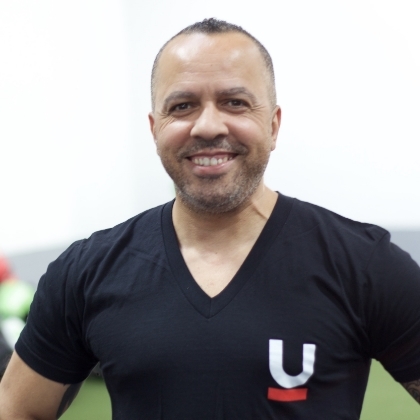 With a bachelors of science in kinesiology, a background in Brazilian Jiu-Jitsu, and over 15 years of experience in the field of health and Fitness, AJ has worked with all kinds of imbalances and movement disfunction, from college athletes to post-rehab baby boomers. With today's lifestyle no longer being driven by subsistence requirements, and physical inactivity becoming the primary cause of chronic diseases, AJ's approach to fitness goes beyond the old unidimensional way of exercising, his unique method of ever evolving functional movements will help you take control of your body towards achievable, measurable, attainable goals that will empower you to live that happy healthy life you have always dreamed of. So... It's time to tailor you a new birthday suit!